Wonder what a subject access request would return ? I wonder if he's seen the award made in Vidal Hall vs Google which is a DPA case where they were awarded £750 for distress. The problem of double dipping is not the only thing of concern. Most car parks allow a blue badge holder to stay longer than a set period applicable to other drivers. However since it's an ANPR system there's no way that a disabled driver can be identified. 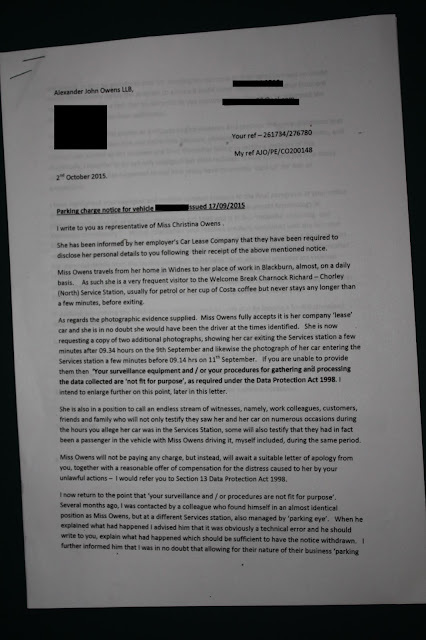 A Notice to Owner is thus obtained without due cause and will mostly be paid upon threat of prosecution. My own poorly constructed Youtube clip of such a situation in an Asda car park shows that even Asda don't know how to prevent this from happening. The use of blanket ANPR is at best poorly thought out in relation to where it's placed, what it's limitations are and how reliable it is in less favourable situations, perhaps even a heavy fog at a motorway service station. It's a fact that a lot of people will shortly be getting tickets at the time of the autumn clock changes as some ANPR systems don't update the times in the system they are attached to. I saw a stream of people at the customer service desk at Asda last year all with PCN's in their hands. Picture quality a little low, but what a blinding vid! It seems obvious that the parking company are paying lip service to the disabled community, and probably sending them unfair parking tickets as well. I simply love Mr Owens!!! I suspect that this letter and the follow up with the ICO actually investigating may be the start of single biggest setback that the ANPR PPCs have ever seen. 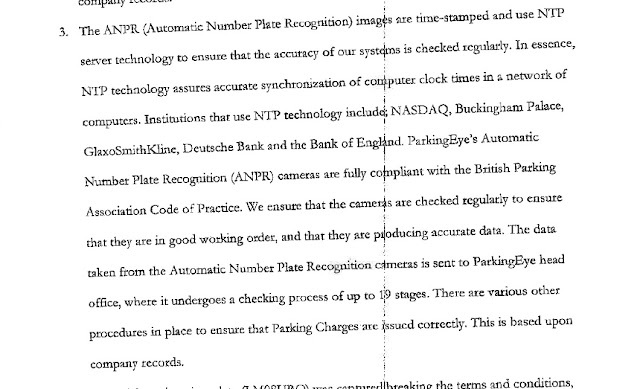 Maybe they'll be doing a 20th stage check on their ANPR pictures from now on, but somehow I doubt it. 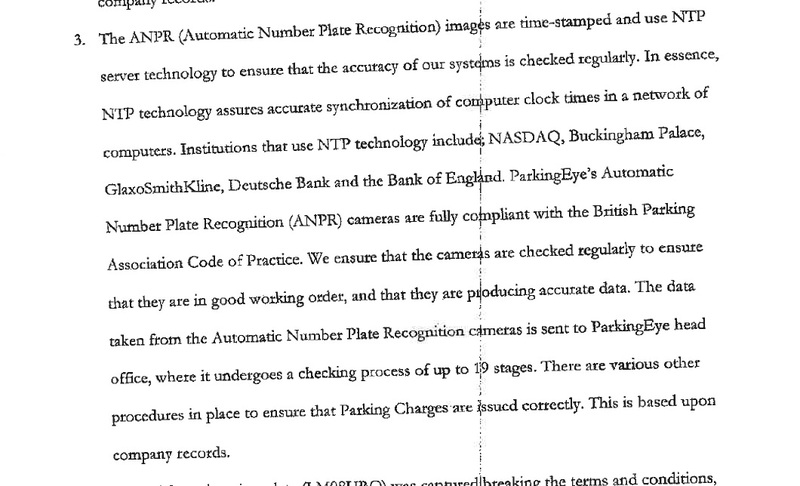 Are you aware that one of conditions you agree to when parking on a PE car park is that they can sell the data they have gained to third parties? Is it illegal to cover up your number plate before entering a PE car park, or any other PPC car park for that matter? Providing the public have no access to that private land. Which they do in a private car park. Got case law? There's nothing in http://www.legislation.gov.uk/uksi/2001/561/made about public/private, or about covering a number plate. It always needs to be fitted, and it only needs to be fitted. Any news on this one please? Very interested, I received a P_Eye PCN for 14 hours I didn't spend in Corley services Coventry. As above I regularly stop on the the way home. Apparently I entered at 7:50 pm 6th September and left at 9:40am the morning 7th September when I was at work 50 miles away. However both images are taken in the dark (at night) and not one at night and one in the daylight so in this instance it is clearly a wrong time stamp. Looked at DVLA page but can't yet find a complaints link. I checked my work swipe access and email and can prove I was not at the services. However it also took 5 weeks to send the PCN out so I should be safe, but I would like to follow it up. Of course you can always enter the car park in reverse, the picture won't prove if you are comming or going. Is there any word of an outcome on Mr Owens complaint??? Who is the old POPLA contract with?